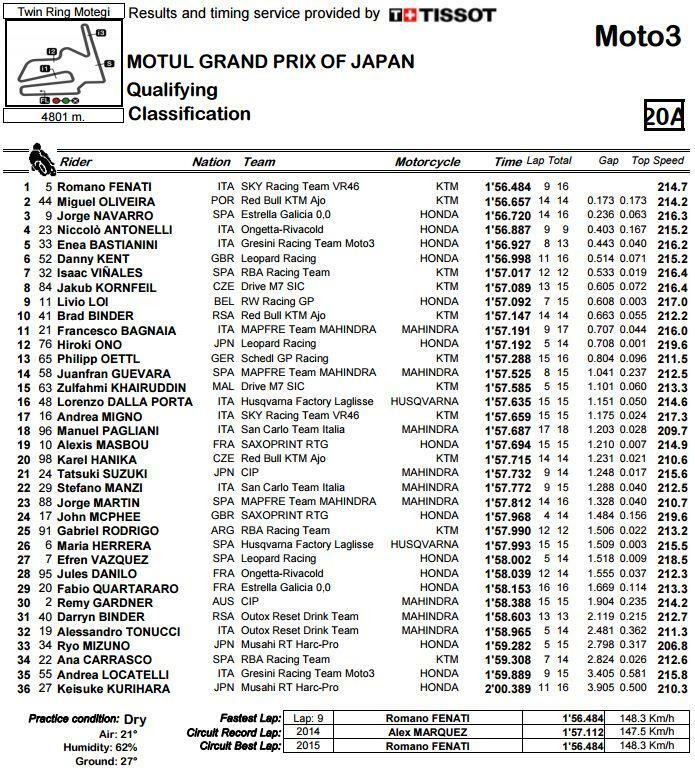 Romano Fenati claimed his first career pole position at Motegi with the Italian almost two tenths of a second ahead of Miguel Oliviera. 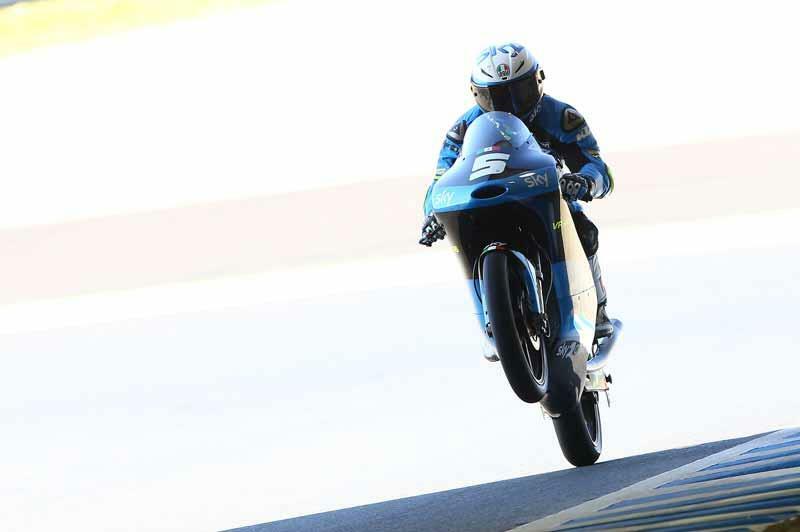 Fenati, who has won six Grand Prix, has always been known as a huge threat on race day and his qualifying struggles have always been in stark contrast to his speed and consistency over the course of a race. Having not won since the French Grand Prix in May he'll know that it's crucial to add to his victory haul this weekend. Oliviera jumped to second on his final lap with Jorge Navarro continuing his good run of form of late to round off the front row. Title rivals Enea Bastianini will luneup ahead of Danny Kent on the second row with both riders having a somewhat difficult qualifying session. Kent has struggled this weekend to maintain the high standards that he has set throughout the year but the damage limitation of a second row start leaves the Englishman in a strong position for a good result tomorrow.